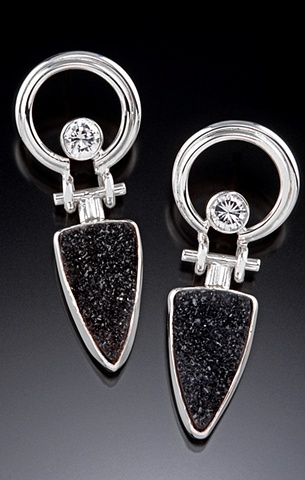 I love these earrings...they really make a statement. The suspension hinge is my newest hinge...it gives even more of a three-dimensional quality to the earrings. I can make these earrings to order using a number of stone combinations. Please email me as to availability and possibility!